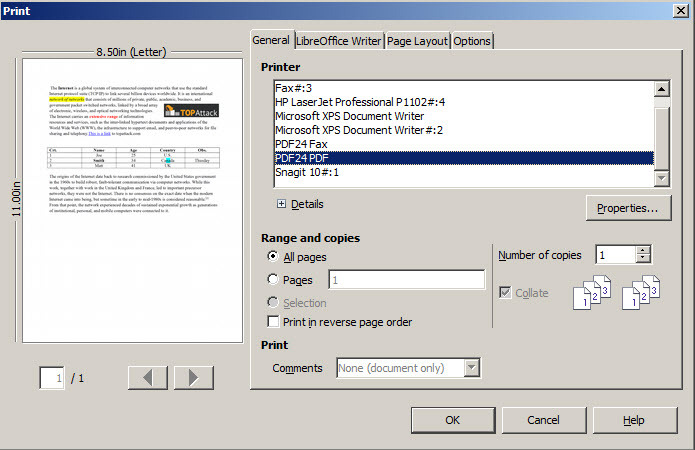 PDF24 is a virtual printer driver, also with an user interface, that will convert the printable files to PDF. 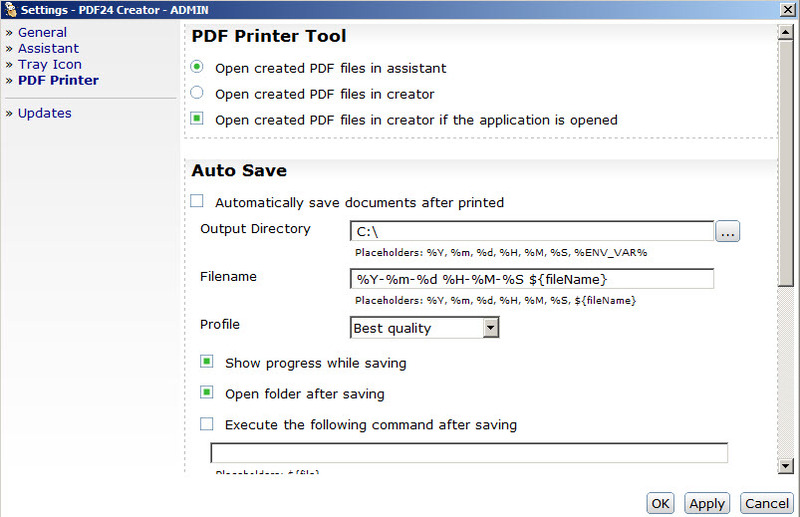 From the user interface you can browse and select the source files, then click Save to access the advanced options. The program allows to choose between different levels of quality of PDF, auto rotate pages, optimize for web (smaller file size), set a password and restrict editing actions (print, copy, change text ..), add watermarks and digital signatures. PDF24 is generating files faster than the majority of its competitors. The file size isn't the smallest, if you compare it with other similar programs, but this tool offers more advanced features. 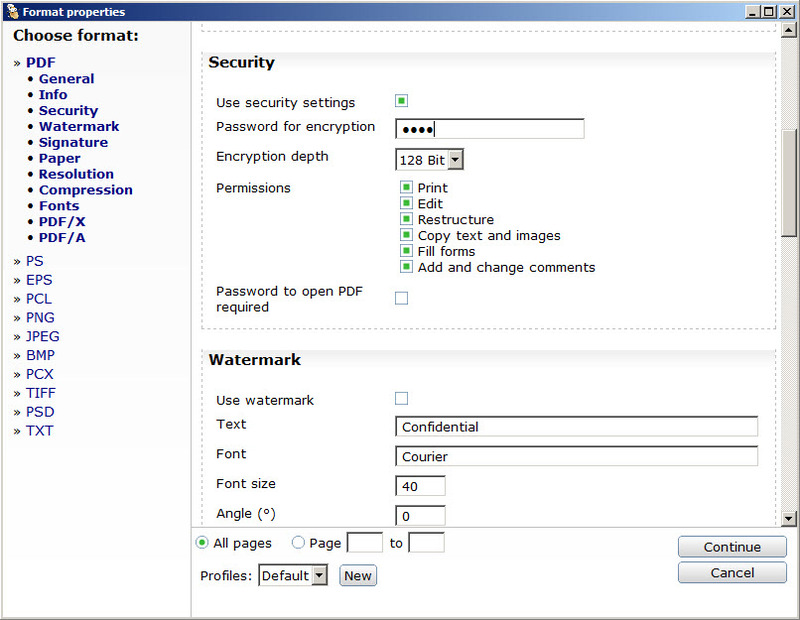 It allows to set passwords and protect the document from being opened and/or printed, modified. 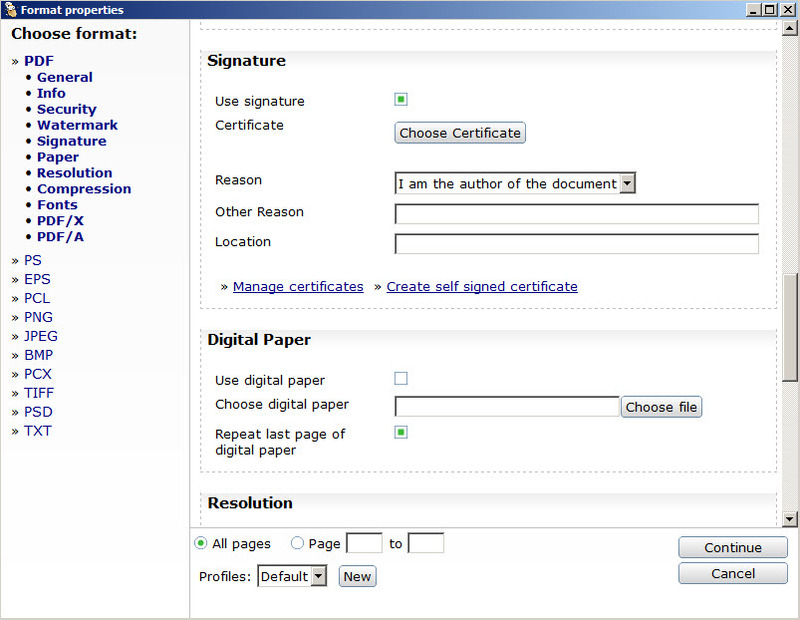 Furthermore, you can add a digital certificate to be sure that the PDF will not be edited or modified. It supports text watermark with custom font, size, rotation angle and position. You can apply it to all or only to selected pages. You can save different profiles with different settings. 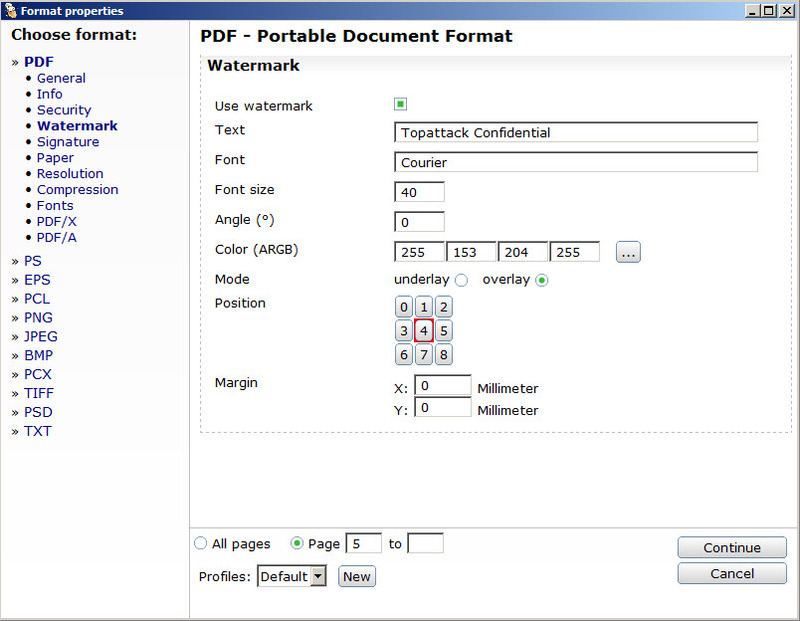 From Format properties, change the options for different features such as security, watermark, resolution, compression. 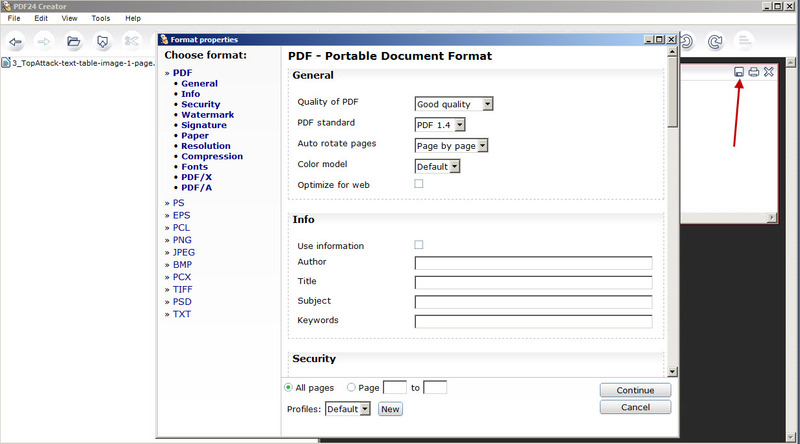 PDF24 Creator has a variety of features and is not just a simple converter. 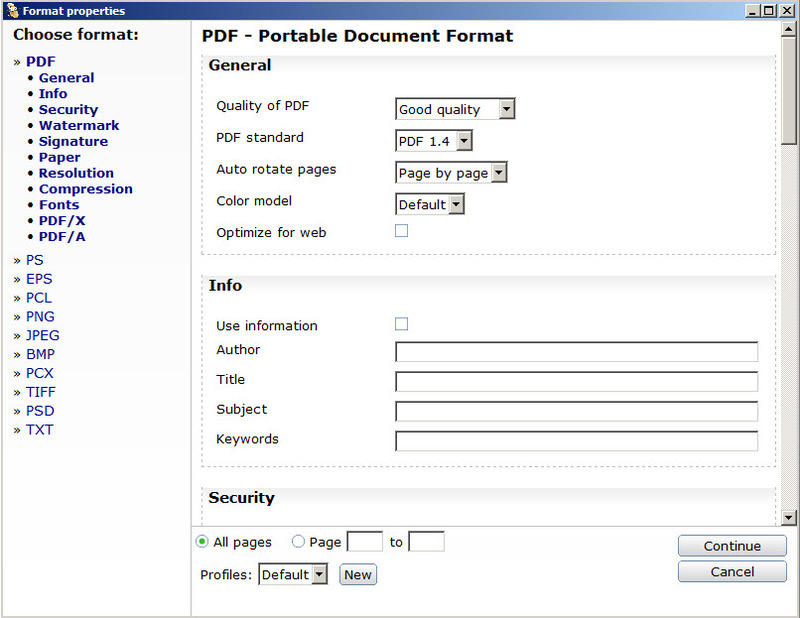 It allows to personalize and add custom settings for each PDF file through its interface.